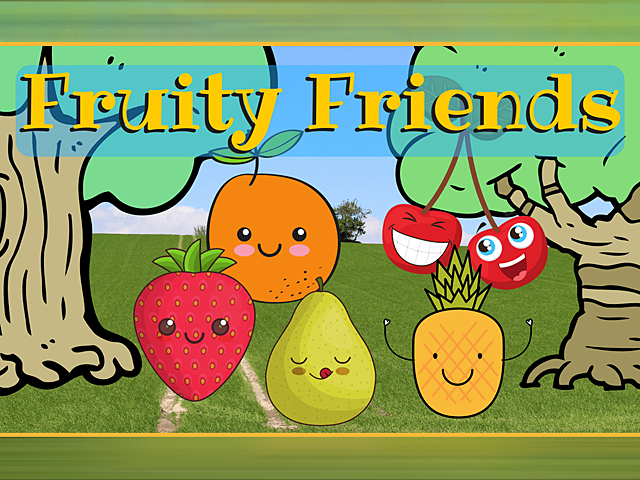 What did people think about Fruity Friends? There are several things that I don’t like about this game. The extremely low paytable could only provide very low payouts most of the time, getting 5 Wilds on any active payline pays only 8.3x the total bet amount, which is ridiculously low, and getting all the different features at the same time voids the Free Spins game! What the argh! Why need to void the Free Spins game at all? If it has been won, then it should be played, not omitted. After all, it’s only a damn lousy 5 free spins anyway! Well, as you can see, I didn’t like the game before, and I still don’t like the game now. Nothing has changed. No multiplier, only 10 free spins and the feature can’t be re-triggered during the round. Honestly speaking, the feature games of Fruity Friends does not suit me very well. Pick-and-win features tend to fare quite badly for me most of the times, and I would prefer the 10 free spins to have a fixed multiplier of 5x, as in other more popular games. The very low paytable can do with a much higher one for better and more satisfying payouts. Although this is not my first contact with a game manufactured by this company, I have to say I am deeply disappointed of this slot, which despite of having a paytable seemingly decent, it is a game with an awful hitting average, I dare to say almost unequivocally that it is one of the worst slots I’ve ever played so far, except for its design and the speed and smoothness with which they rotate its reels, of course.Unlike other slots of 9 lines, Fruity Friends does not have the feature that allows performing combinations in both directions from left to right and right to left, also the slow pace in the occurrence of wild symbols seems to be more appropriate rather for a slot over 25 paylines than for one like this one, although I must say that these wilds have the ability to double winnings further to serve as substitute for standard symbols. There is also a special feature built into this game, which is a round of 15 free spins where wins are tripled, but it is as if this round does not exist because of the incredible difficulty involved in the fact of triggering it, to take one example, if your initial balance is $ 1,000, it is likely that first it happens you run out all of your credits before getting the 3 necessary scatters with the image of green hat of Leprechaun, I know this sounds exaggerated but you should play this video slot to check it, at least there is a somewhat decent payout by obtaining only 2 of these hats. In my opinion this is a video slot that simply must be avoided. We believe that Fruity Friends from NeoGames, which was released 15.06.2012 with RTP 93,00% and Volatility – N/A are worth to play. And remember that is have 3 PAYLINES AND 5 REELS. This and 25 BETWAYS give a chance to win 500000 JACKPOT. You should try to play in Fruity Friends with 0.01 MIN BET AND 500 MAX BET.